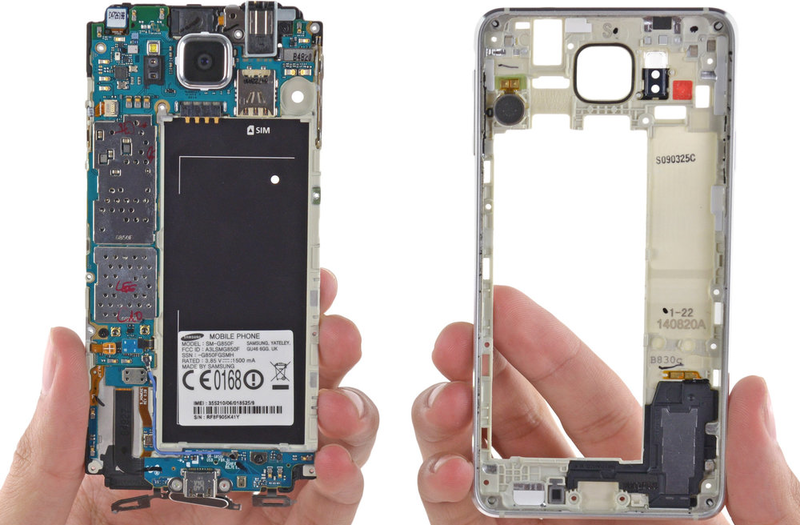 What secrets lie sandwiched between the metal of Samsung’s Galaxy Alpha? 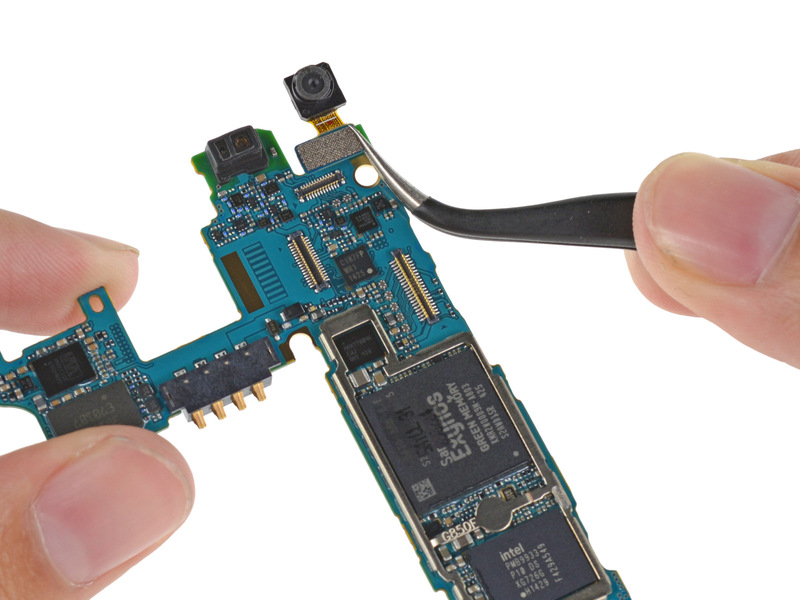 iFixit, having exhaustively documented its teardown of the so-called iPhone killer, can definitively tell us. Unfortunately, when it comes to the Alpha, there is not much more than meets the eye. The handset’s straight lines and chamfered edges are polarizing, and its specs – a 720p display, 2GB of RAM, 12-megapixel camera, and 1860 mAh battery – are rather intriguing. 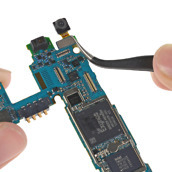 Additionally, iFixit measured the Alpha 0.2 millimeters thinner than the iPhone 6, which I suppose is an accomplishment of some sort. The teardown crew found little of note, but did unexpectedly uncover hallmark signs of waterproofing. 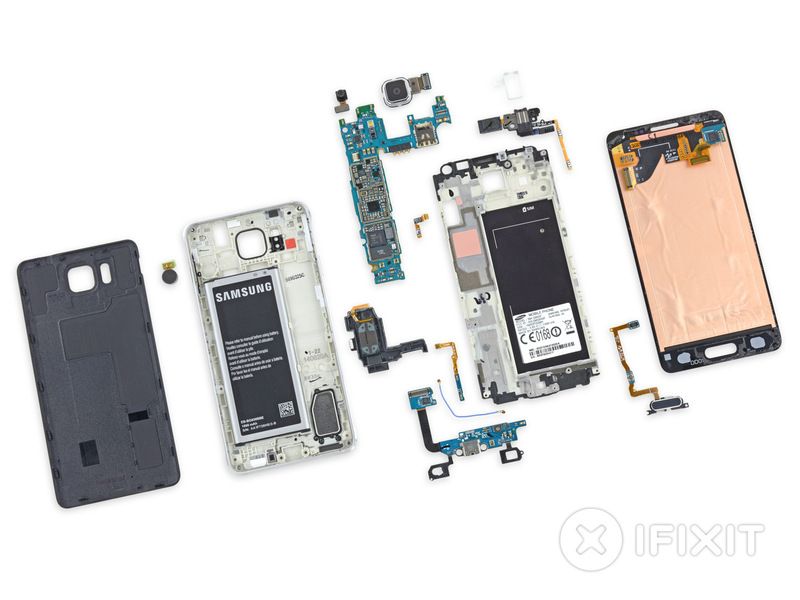 Despite a layered motherboard design and rubber gasket around the headphone jack, the Alpha is not water resistant – iFixit speculates Samsung encountered an engineering problem and decided not to pursue IP67 certification. A pity. 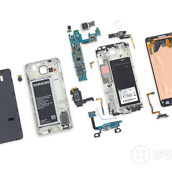 In terms of “repairability,” the Galaxy Alpha scored a 5 out of 10. Liberal amounts of adhesive and components concealed beneath the display could make fixes difficult, the team concluded. Rather than attempt a teardown ourselves, we will take their word for it.